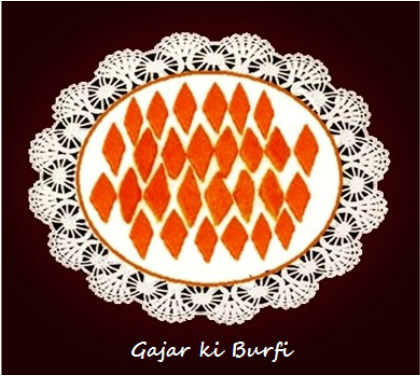 ﻿C﻿arrot Burfi (Gajar ki Burfi) is tasty, healthy and nutritious, with their yellow and orange color any one will be tempted to eat them. 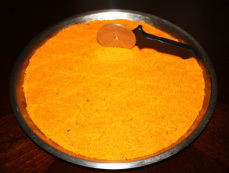 It is prepared with carrots koha (ricotta cheese) or milk and sugar and flavored with cardamoms and saffron (kesar), which gives this burfi an awesome flavor. 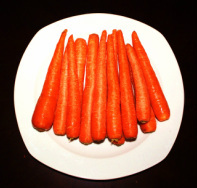 Carrot is such a vegetable that you can consume it in so many forms. 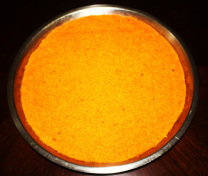 You can make tasty desserts with it or cook as a vegetable, make raitas or pickle or eat it as a salad. 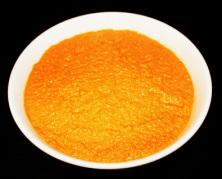 Children mostly avoid eating vegetables, but this way of sweet will attract any child to eat carrots. 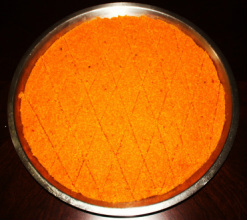 Carrot burfi is easy to make and usually served cold. 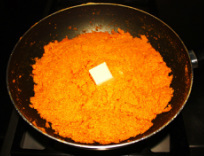 This is a very easy recipe for makeing carot burfi. 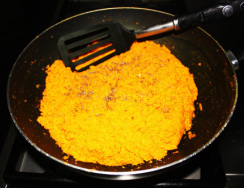 them coarsely. 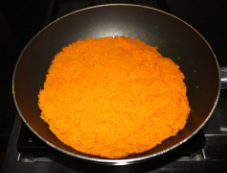 If using milk instead of cheese then just grind the carrots. 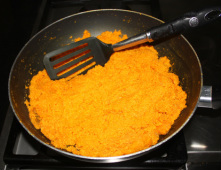 while stirring frequently because cheese (or milk) tend to burn from the bottom. cardamoms and saffron and mix it well. 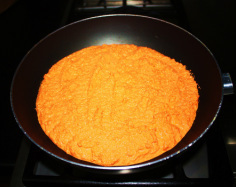 low heat until all the liquid dry up and you start seeing the oil in the pan. 8. If you wish add butter or ghee and mix well and let it cook for few minutes. 9. Grease the plate with few drops of oil. 10. Let the cooked carrots cool down a little then transfer it on the plate. 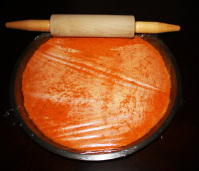 motion or use the rolling pin to spread the mixture evenly into ½” thickness. There should not be any cracks in the spread. 12. 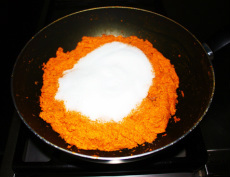 Lift the foil or the plastic sheet, now you have spread carrot mixture evenly. the burffi pieces and store them in an air tight container. 1. Ricotta cheese could be substituted with ½ Gallon of whole milk. need to dry the water from the ricotta and make it like khoya.